To materially improve the efficiency, performance, and safety of air transportation in the United States by identifying promising targets for development, by conducting associated long-term research, and by educating technological leaders. Involve leading academic researchers and their students in solving aeronautical problems, particularly those related to aircraft guidance, navigation, and control; meteorological hazards; human factors. Employ state-of-the-art computational, experimental, and communication tools to advance the state-of-the-art of air transportation. Communicate research results to government agencies and the aeronautical community on a regular and frequent basis. Conduct "lean," cost-effective research by focusing on the fundamentals. Minimize unnecessary costs by employing a "flat" research organizational structure. Insure close, detailed, and continuing collaboration among university and government researchers. Provide a unique "high-bandwidth" channel for NASA-FAA-University cooperation. The program's principal investigators have deep knowledge of the science and technology of air transportation, and their student researchers are the cream-of-the-crop. They are committed to working closely with each other and with NASA and FAA to identify and solve significant problems in air transportation. The cost-benefit of their research is substantially better than that of all potentially competing alternatives. NASA and FAA are able to stretch available research funds to achieve high-priority goals by leveraging each other's support as well as by implicitly benefiting from the research that the principal investigators and their colleagues conduct on related projects. University researchers provide valuable feedback to NASA and FAA technologists regarding the goals and effectiveness of government programs. Robert F. Stengel, March 21, 2002 (pdf). John O. Andrews, Ezekiel S. Burke, and John M. Thomas, December 9, 2004 (pdf). 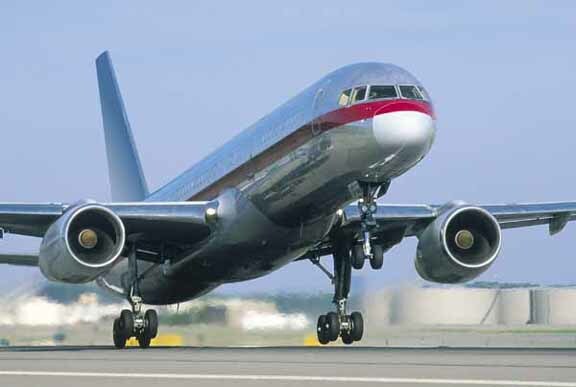 Overview - Air transportation provides the backbone for passenger transport over moderate to long distances in the U.S., and it is becoming an increasingly important mode for short-range travel and cargo transport as well. As a consequence, there is a growing demand for use of available airspace, a heightened concern for safety, and a greater likelihood that poor weather will be encountered during typical flight operations. Air transportation affects this nation's competitiveness in two ways: 1) It is an important component of the industrial base, having made a positive contribution to our balance of payments for many years, and 2) it is an enabling technology for all other industries, providing a major avenue for commerce by moving both people and cargo. Continued improvements in safety and efficiency of civil aviation are urgently needed if we are to preserve not only national competitiveness but the quality of our lives and our environment in the process. New technologies hold promise for increasing the productivity, reliability, and safety of the air transportation system, but they introduce uncertainty and present new challenges for certification. It is necessary, therefore, to create new ways of dealing with these problems and, in the process, to nurture a new generation of researchers capable of solving problems yet to come. Background - In 1971, NASA initiated the Joint University Program (JUP) on Air Transportation Research, which is implemented by research grants to three universities -- the Massachusetts Institute of Technology, Ohio University, and Princeton University. The FAA joined NASA as a sponsor of the program in 1983. It was intended that the research programs be interactive, especially on a student-to-student basis, and that they should build on the particular strengths inherent in the programs at the separate institutions. The goals of this program were consistent with the aeronautical interests of both NASA and FAA in furthering the safety and efficiency of the National Airspace System. Since then, active programs of education and research at the three universities have provided a strong base on which to build cooperative efforts. Each university submits a separate proposal and is dealt with individually by NASA and FAA. By being identified as participants in a common program, a degree of cooperation and interchange of ideas has been achieved that would not have been possible otherwise. The diversity of interests and capabilities offered by the three universities is an advantage in promoting the broad perspective needed to address air transportation problems. At the completion of each research task, a comprehensive and detailed report is issued, for distribution to other participants in the program. Typically, this is a thesis that fulfills requirements for a graduate degree or a report describing an undergraduate independent work project. In addition, papers are prepared for technical conferences and archival journals. These not only document work for program participants: they provide visibility for the JUP with national and international audiences. During the year, a quarterly program review is held at a NASA or FAA center and at each of the three universities. At this time, research results of the past quarter are presented, and future research plans are discussed. In addition, guest lecturers give presentations on matters of common interest. These meetings are attended by students, principal investigators, technical monitors, and other interested parties from government, industry, and academia. Since 1980, the annual government center meeting has been documented in a FAA/NASA Conference Publication. This publication contains review papers written by each of the principal investigators, as well as charts presented at the meeting (with annotations) and key technical papers from archival journals and technical conferences. For particular research projects, students may be in residence at one of the other universities or at a government center for a term or a summer, in order that special courses or facilities be made available to them. Such exchanges are conducted in accordance with the normal rules of the host institution. In the past, the JUP has been characterized by great flexibility in responding to the research interests of FAA and NASA and to the educational objectives of the participating universities. Prior Research at Princeton University - The JUP is a program of the Department of Mechanical and Aerospace Engineering . During the first five years of the grant, the research at Princeton concentrated on guidance laws for terminal area air traffic control, with particular reference to the influence of random disturbances (such as winds) and measurement errors (such as radar errors). The influence of aircraft performance on suitable guidance laws for mixed categories of aircraft also was considered. Studies progressed to closed-loop guidance on curved flight paths and the incorporation of intermittent or lagged radio data. Attention then shifted to coordinate transformations for OMEGA navigation and to the flight testing of a hybrid navigation system incorporating an Ohio University OMEGA receiver, as well as precision dead-reckoning based on magnetic and air data. These studies complemented and supported research at MIT and Ohio on traffic control theory, runway capacity, curved path following, and radio navigation, and they supported the interests of NASA as evidenced in the Terminal Configured Vehicle and General Aviation Aircraft Programs. In later years, there was a broadening of the subjects addressed in the research at Princeton. In addition to matters pertaining to navigation and guidance, research was conducted on ultrasonic altimetry, laser-based collision avoidance systems, flying qualities and fuel-use characteristics of small aircraft, fiber-optic data transmission within an aircraft, use of voice recognition in the cockpit, and technical and institutional issues in the development of future general aviation aircraft. More recently, attention has been directed at computer-aided aircraft and control system design, effects of control limitations on closed-loop characteristics of relaxed stability aircraft, flying hazards associated with penetration of wind shear, aeronautical applications of artificial intelligence and neural networks, and control system robustness. Research results from this program have had significant impact on air transportation technology and have helped FAA and NASA formulate plans for future programs. One notable example is our work on the hazards of low-altitude wind shear to takeoff and landing operations. Our research has dealt with avoidance of microbursts using expert systems for decision making, optimal flight paths through unavoided microbursts, and control for the prevention of attitude upset during encounter with a horizontal wind rotor. Princeton's research on real-time applications of artificial intelligence to aircraft control has been trend-setting. Our innovative approach to evaluating the robustness of control systems is likely to have a long-term impact on the analysis and design of flight control systems. The three universities are currently conducting cutting-edge research on intelligent flight control systems, weather hazard avoidance, satellite navigation, cockpit displays, and intelligent air traffic management. With a very modest budget, we have granted over 70 graduate degrees and over 60 B.S.E. degrees since inception. The quality of the program is reflected in the fact that our students have won the prestigious William E. Jackson Award of the Radio Technical Commission for Aeronautics 14 out of the 20 times it has been offered. The Joint University Program was the first recipient of the FAA Excellence in Aviation Award. Through the JUP, university principal investigators have explored new and important areas of aeronautical technology. By focusing on critical issues of air transportation, by emphasizing coordinated, individual efforts of students and their professors, by building on the complementary strengths of the three university research groups, and by providing long-term continuity of support, program participants have developed deep perspectives about aeronautical problems and their solutions. The Joint University Program for Air Transportation Research has succeeded because it is centered on excellence, with exceptionally effective interaction among the universities, NASA, and FAA. Copyright (c) 2006 by Robert F. Stengel. All rights reserved.